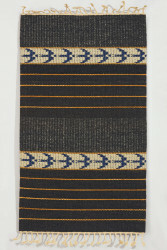 Catalogue card for Vanessa Robertson and Norman Young's floor rug 'Autumn Migration' (T26). 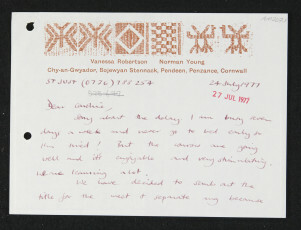 This card records basic object and acquisition information including a small black and white photograph of the work stapled to the right-hand side of card. 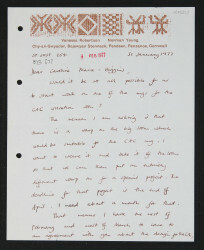 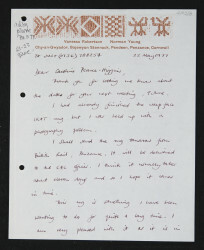 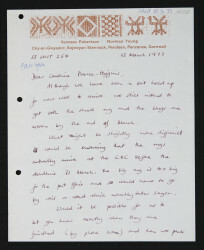 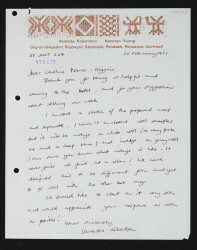 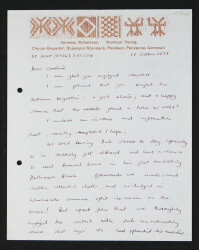 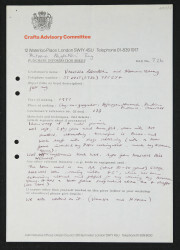 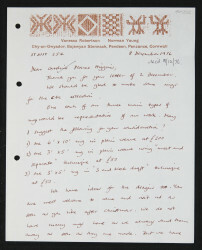 Handwritten on the reverse is an object exhibition history up until October 1987.